For 3 months a year, the TNG telescope on the island of La Palma turns its high-precision spectrometer (HARPS-N) towards the constellations of Cygnus and Lyra. This is the field of view that NASA’s Kepler space telescope stared at for more than 3 years, detecting thousands of potential new exoplanets using the transit method. There the TNG scans hundreds of Kepler’s potentially planet-holding stars looking for tiny changes in their radial velocity. If detected, this signal will indicate the presence of a real planet, confirming once and for all what Kepler first hinted at many months before. This is the process that, up until now, has been used to definitively find the majority of Kepler’s 211 planets. That appeared to change in the blink of an eye this week with the confirmation of 715 new planets using a new catch-all statistical technique. But how did the Kepler team confirm all these new worlds, and can they really be considered real planets? Without further observations with instruments such as HARPS, Kepler’s 3000 planetary candidates cannot usually be called definite planets. This is because a number of other signals could mimic the transit signal of a star, including tightly bound double-stars that graze one other as they orbit, or unseen dim stars that have binary companions. Alternatively the cameras themselves could be acting up, producing periodic, transit-like signals in the data. Last year a team used simulations of the Kepler data to estimate that around 10% of the candidates were likely to be such false positives. So how can more than 700 worlds be confirmed at once, without any manual work from telescopes on the ground? The answer is through performing statistics on Kepler’s planets. Of a zoo of 190,000 stars observed, Kepler discovered 3000 potential planets, of which 10% are likely to be spurious signals. As a rough estimate then (and the Kepler team go into much more effort than this), the random probability of finding a false positive is 300/190,000, or a rate of only 0.16%. That number on its own cannot help confirm planets. The trick comes when thinking about Kepler’s hundreds of multiple planet systems. The likelihood of a single-planet system randomly having another false positive also in the data is extremely low. In fact, applying that rough number to the 1000 best single-planet candidates tells us only around 2 of those multiplanet systems should have a spurious planet. Similar calculations can be done for even rarer systems with two false positives, two planets and a false positive, etc. This rate can also be significantly improved by excluding any targets more likely to give these spurious signals. For example, the authors removed more than 350 potential planets from the initial sample for many reasons. Some had instrumental artefacts seen in other stars or had transits close to the limit of detection. 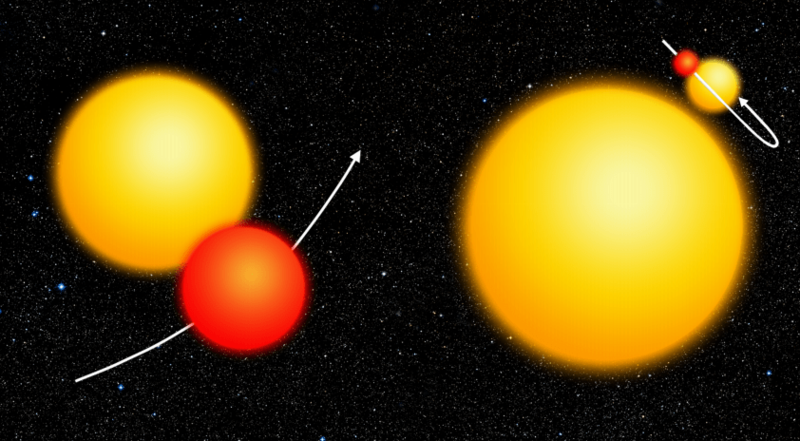 Others with V-shaped transits were eliminated as these are more likely to be grazing binary stars. The team also studied the images Kepler took to check for possible transits on a secondary star, eliminating anything where the transit did not in the star’s central position. 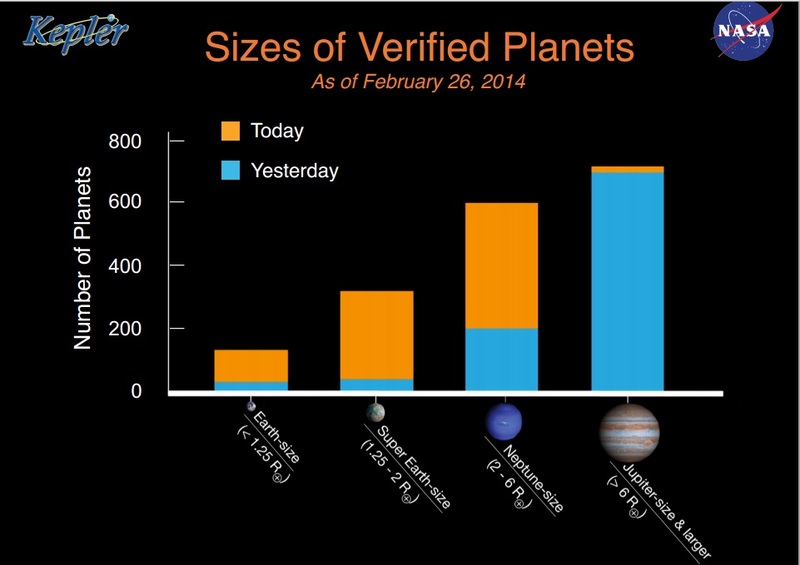 Using these cuts, the study narrowed down the search to 851 planets around 340 stars. Applying statistics and using the estimate that 10% of currently detected planets might be false positives, the team found that 849 of the 851 planets were likely to be planets. This corresponds to a certainty of 99.8%, just greater than 3σ, which in astronomy is usually enough to constitute a detection. This is how “verification by multiplicity” works. Of these, 715 are previously un-confirmed worlds. Nearly all are relatively small planets, with radii going from the same as Earth up to that of Neptune. Four of these new planets may also reside in their star’s habitable zone, the region where liquid water could exist on the surface. As amazing as it would be to nearly double the number of exoplanets overnight, some doubts remain about this method. By eliminating astronomical follow-ups, no extra information can be gleaned. For example, without performing radial velocity measurements, the mass of these planets will never be known. And without other accurate astronomical studies, we cannot accurately determine the nature of the star, and therefore the radius of the planet. The main difference, though, comes from the impersonal nature of verification by multiplicity. 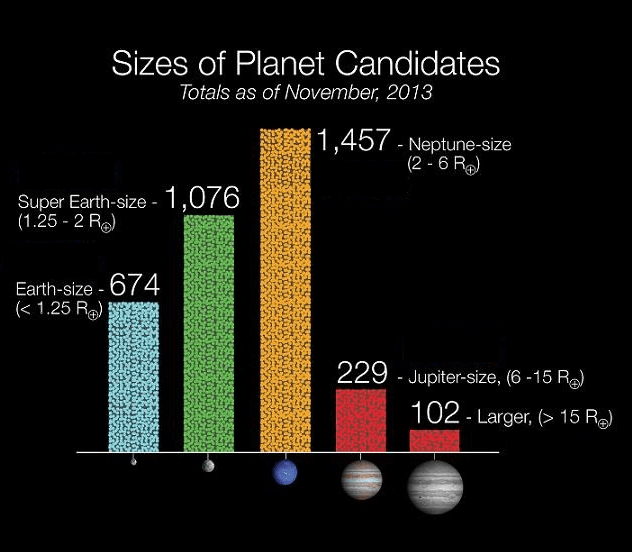 Previous confirmation methods assessed the probability of each candidate being a planet individually. By performing the confirmation in bulk we will know, thanks to the statistics, that at least 2 planets are imposters*. But if exoplanet astronomers can learn to live with that doubt, such planets may well be accepted as confirmed worlds and this simple idea will see the single biggest influx of validated exoplanets in history. * Here’s another way to compare those statements. Imagine you have two pills. One produces a 0.2% chance of death. The other causes the loss of two fingers (0.2% body mass). By adding these planets to the list of exoplanets, we may well gain a whole new body of worlds, but there will be painful amputations to come in the future. The two papers, which will be released on March 10th in ApJ, can be found here (Lissauer, 2014) and here (Rowe, 2014). UPDATE: The new planets are proving reasonably contentious. 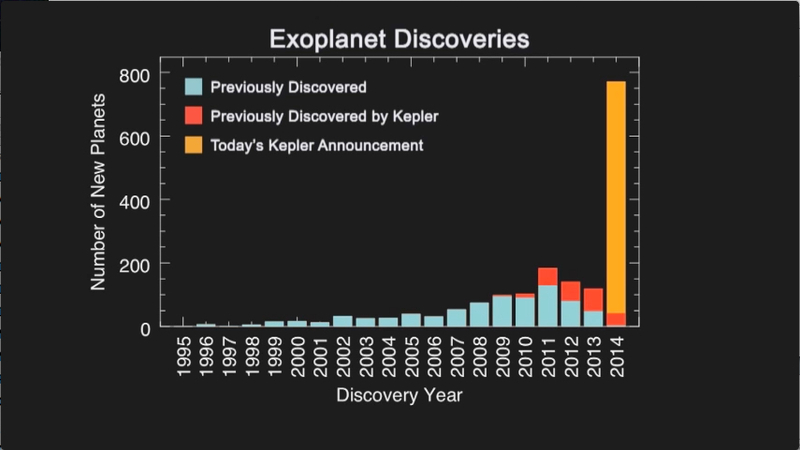 The exoplanet counter on NASA’s planetquest sits at 1690 , wheras the Paris-based exoplanet.eu remains on 1078. Time will tell whether astronomers accept these as true planets or simply string candidates.